On Saturday, we began our examination of an important paper released earlier this month by the founding director of the Democracy Institute, Patrick Basham, which focuses on the USA’s long-running, WTO-agreement-violating war on international online gambling. In the 35-page report titled “Do As I Say, Not As I Do,” Basham repeatedly shows the United States to be a bad-faith actor on many topics related to online gambling. In Part 1 of our series, we looked at how a portion of Basham’s meticulously researched report examined the way the United States has continued to ignore its treaty obligations and WTO judgment owed to the Caribbean island nation of Antigua and Barbuda. That dispute received heavy mainstream exposure a week ago when the LA Times ran a feature on how the USA was ignoring its WTO-arbitrated judgment, now worth more than $270 million, at a time when Antigua & Barbuda is in dire need of hurricane-related aid. The smaller island of Barbuda, in particular, was heavily damaged by Hurricane Irma. 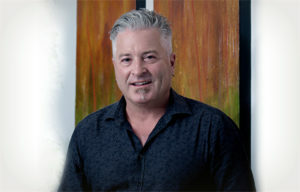 Basham’s prominently peer-reviewed report didn’t stop there, however: It’s really a two-phase report, also focusing on the USA’s effort to take down perhaps the most famous of all US-facing international operators, Bodog founder Calvin Ayre. The Antigua and Calvin Ayre storylines are more closely related than most people realize, and the Basham report does the best job yet of exploring the relationship between the two. Remember back in 2012, when the US seized the Bodog domain? (It’s since been returned to Bodog ownership, after a small extortion fee was extracted.) The seizure was every bit as ludicrous as the presence of Ayre himself, for several years, on the “Ten Most Wanted” list of the USA’s ICE (Immigration and Customs Enforcement) agency. The ICE-capade didn’t make it into Basham’s report, though few other elements are missing. 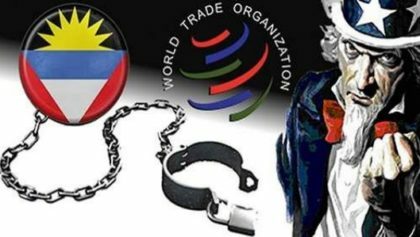 And there’s a full exploration of the tie between the USA’s weird, WTO-defying prosecution of Ayre and three other Canadian citizens and the Antigua-WTO trade dispute. Among the many puzzling oddities exhibited by the American case against Ayre, therefore, is the fact that, for the majority of the time period covered by his indictment, Bodog’s only US-facing company was not owned by Ayre, but by the Morris Mohawk Group. And, Bodog left the American market in 2011. So, the American government shut down a Bodog company that was not actually in operation. The existing Bodog operation performs its activities on an Antiguan license. In 2012, the www.bodog.com domain seized by the American government was owned not by an American individual or company, but by Sanctum IP Holdings, an Antiguan company; importantly, the same company held an American trademark for online gambling. The trademark registration continued to be valid, even though the US government seized the domain name. The bottom line is that the American authorities chose to indict a company that did not exist rather than indict an Antiguan company that did exist. Given America’s embarrassing series of WTO defeats preceding the indictments of Ayre et al., the US government sought to avoid any direct connections between the indictments and Antigua, herself. Clearly, American prosecutors wanted to pretend, at least publicly, that the Antiguan angle – the (legal) elephant in the room – did not exist. By both ignoring the Antiguan corporate angle and America’s Antiguan treaty obligations, American authorities attempted to erase, figuratively, Antigua from the global online gambling scene. Nevertheless, the American government decided to pursue the prosecution of Ayre, a foreign citizen, for alleging committing ‘crimes’ based upon domestic laws that respective WTO courts had clearly and repeatedly determined were in violation of America’s treaty obligations, for the plain text of America’s GATS Schedule commits her to providing open cross-border access to gambling service providers. The American government always claimed that Ayre et al. were American residents. In Calvin Ayre’s case, at least, he has never been a US resident. He has not visited America since a brief trip to Los Angeles in June 2006. Nonetheless, throughout Ayre’s profile on World Check, the private risk intelligence site utilized by governments and financial institutions to screen for so-called “heightened risk” individuals and entities globally, it is inaccurately stated that the United States is/was one of his countries of residence. Such acts are on the same level of governmental and prosecutorial malfeasance as that exhibited by American prosecutors in the high-profile Paul Phua case. When the law and order folks are demonstrably more criminal and corrupt than the people they’re chasing… it’s a problem. Then the Basham report then adds the kicker: In order to support certain American government claims that online gambling was connected to money laundering and terrorism, the government itself planted false links to a known terrorist on the World Check pages of two of the three other Canadian citizens indicted by the USA, David Ferguson and Derrick Maloney. then linked the false info to Ayre. Except Ayre never settled in the full manner desired by the USA, which was to pay roughly $350 million to the DOJ for Bodog’s earlier States-facing business. Instead, the USA had to “settle” itself for the nearly $67 million it swiped from multiple USA-facing, third-party payment processors. There’s a lot more to that, though the above serves as a lead-in to the very darkest part of this tale. We’ll get to that in Part 3. But think about the above and ask yourself, does that sound like the description of a man who ever should have been present within ICE’s Ten Most Wanted list? The interlinked Calvin Ayre and Antigua tales both show one truth above all else: The United States has acted shamefully on the international stage as part of a larger overall effort to continue propping up social-behavior restrictions craved by a shrinking minority of its citizens. Some things really need to change.